Words So Lame (Political Parody), Parody Song Lyrics of Drain STH, "Serve The Shame"
Song Parodies -> "Words So Lame (Political Parody)"
"Words So Lame (Political Parody)"
DKTOS? Acoustic version here. The lyrics in the half-quotes are, apparently, all you need to know to be an extreme right-winger. For maximum effect*, use as them as often as you can, and, if possible, several times in the same sentence. copyright 2006+ Jack "Red Ant" Fletcher * That is, if your desired effect is to convert sane, undecided voters into Democrats ** The lyrics in squiggly brackets aren't in the acoustic version. DKTOS(and can't use realplayer), but 5s. I don't side with either republicans or democrats, per say, mainly because I'm more grey area(which is part of the reason why I don't write much in the of anything political, except for FCC bashing). Thanks Alvin, Step-chan, and FA. 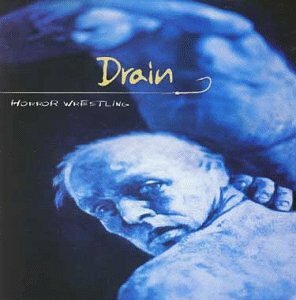 Great song from a great band, I'll have to do a Drain STH parody myself one of these days. Red - HAR! DKTOS, but I think you've broken the 'Code'. The address of this page is: http://www.amiright.com/parody/90s/drainsth1.shtml For help, see the examples of how to link to this page.